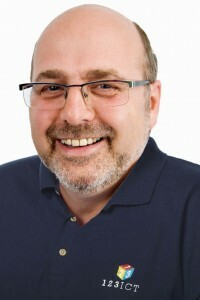 Andy has spent many years in Oxfordshire schools as a teacher and ICT coordinator. He joined 123ICT in January 2012 as an ICT Consultant working within our schools. At the end of 2013, Andy semi-retired and he now organises our popular 123ICT competitions, using his teaching experience to ensure that each one has a clear focus. In addition, Andy maintains our new Teaching Resource and Community website, the 123HUB, and also assists us with other on-line administrative and technical tasks on an ad-hoc basis.